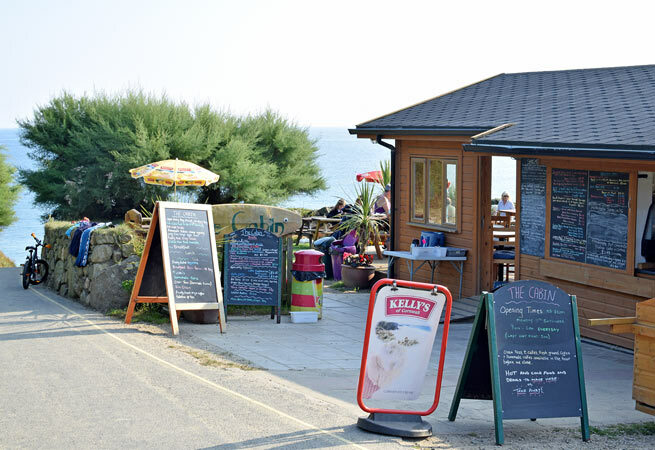 Just above the sea and a few steps from the coast-path, the Cabin Beach Cafe has lovely views of the beach countryside. 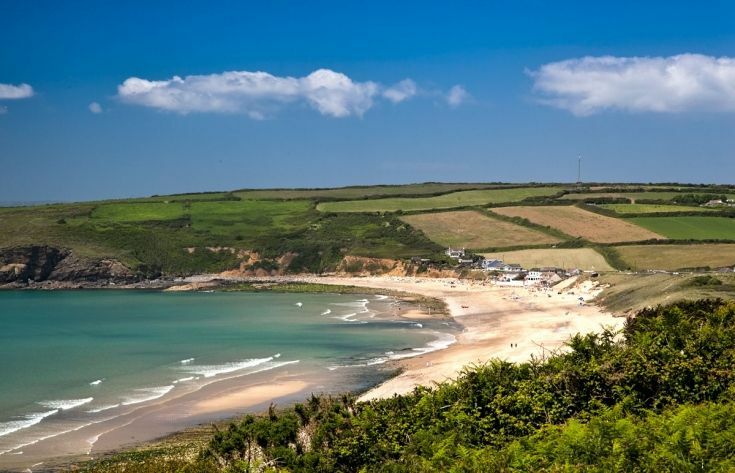 Enjoy local ice-cream, cream teas and lovely lunches. Open until 5.30pm in Summer. The beach is located in a wonderful valley (just over the headland is Church Cove, which you will recognise from the series if you are a Poldark fan!). The lovely sandy beach is flanked by cliffs on either side. 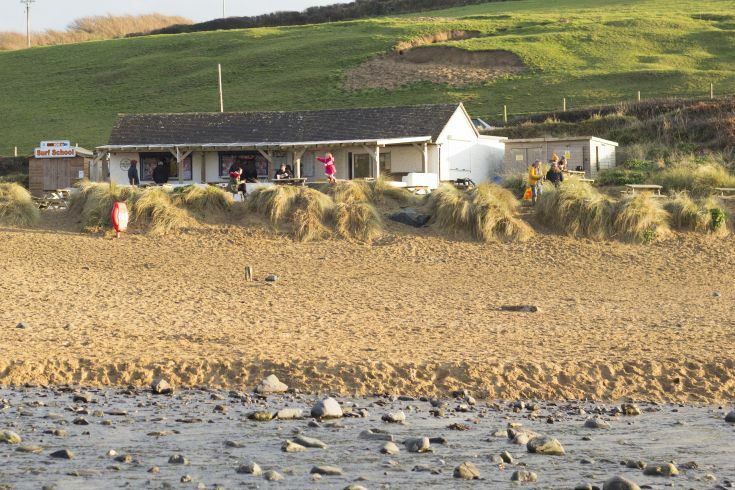 Poldhu Beach Cafe offers delicious hot chocolate, coffees and light lunches. Friday and Sunday are pizza night on the beach! 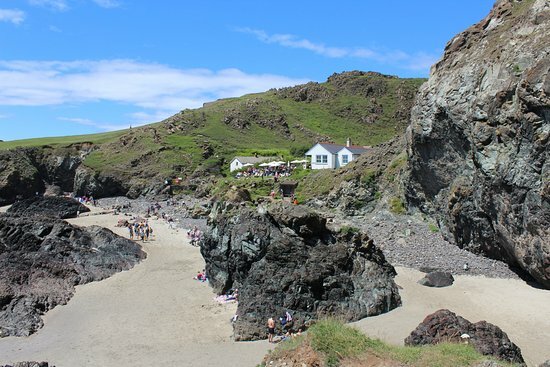 Located at one of the most beautiful beaches in the UK is The Kynance Cove Cafe. The converted fisherman’s cottage has lovely views and offers pasties, fresh crab sandwiches, local icecream and lovely coffee. A fabulous place to visit if you are walking the cliff path or spending the day on the beach in the summer. Beware the steep cliff path! Step directly from the beach into Beachcomber Cafe. A little terrace provides rustic seating and the menu offers lunches, milkshakes, ice-cream and snacks throughout the main holiday seasons. See the TripAdvisor reviews for more info. 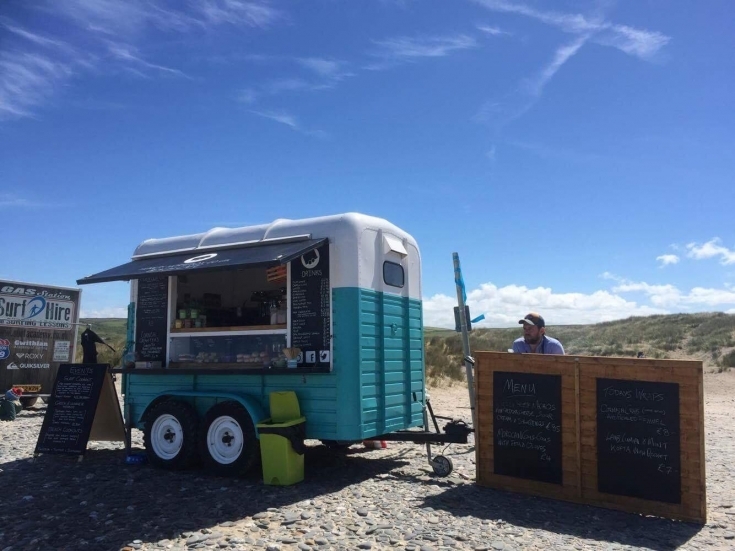 The Hungry Horsebox Co is a ‘pop-up’ cafe right on the beach every summer. Delicious, fresh salads and lunches. They also have regular evening events.